Weekend Obsession: Sheep Eid Collection 2013 Featuring Amna Babar! We already brought you the exclusive behind the scenes coverage from the making of the Sheep Summer Eid Collection shoot with Natasha and the NFK team of Maha and Nadir. We now bring you the first look at the complete shoot featuring the beautiful Amna Babar for their limited edition formals and pret wear! Inspired by travels through Italy, the feminine collection takes you on a festive journey through floral hues, appliquéd art work, and origami lace and fabric motifs impeccably stitched in modern chic cuts with delicate overlay and ruffled accents. Must have color this season: Earthy warm coral! 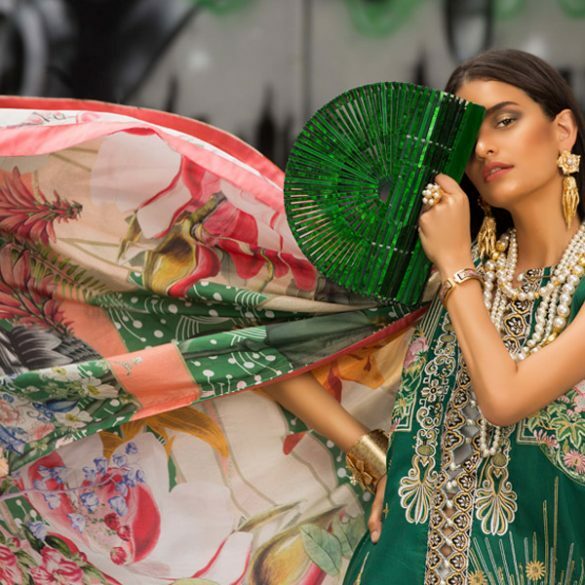 Maha Burney, shoot stylist has designed the set to compliment the natural relaxed flow of the clothes using a sheer pastel mint back drop and rustic wicker baskets and screens with crystal chandeliers and white flowers to set the exotic mood for the shoot. One immediately gets a sense of calm and serenity viewing the collective effect. Fragile silk cowl necks set in structured silhouettes work beautifully with asymmetric thread embroidered vintage motifs with a hint of zari finishing on the edges that is just enough to enhance the beauty without appearing over the top. There is a wide range of sophisticated and subtle cotton and butter linen separates in multiple color ways available in store that are the perfect choice for light and breezy work day wear followed by Iftar and dinner events. Eid formals include pure pearly self embroidered lace jackets and kurtas with pastel lining that will cast an aura of delightful grace every time you wear them. Natasha has beautifully complimented the sheer radiance of the clothes with warm peachy luminous cheeks and dewy wide eyes which is your cue for how to dress up your Sheep Eid outfit. View the complete makeup break down by Natasha on our previous ‘Behind the Scenes’ exclusive. The short silk print tunic inspired by Italian architecture with it’s intriguing color combination is one of our favorites for it’s easy to wear day or night look and confident smart cut. The Sheep Eid range is available at all Sheep outlets as well as online via their web store. To view more exciting designs from their Eid line visit their Profile Page. Happy weekend Eid shopping to you all! Shutterbug: Nida Azwer Spotted in London!